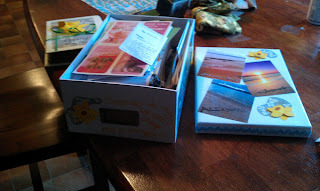 This is another tutorial for Grief Journeys. 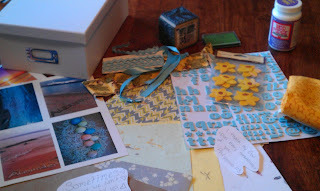 Lending my arts and crafts expertise to these wonderful heartbroken mommas is just one way I heal and remember my little boy all at the same time. 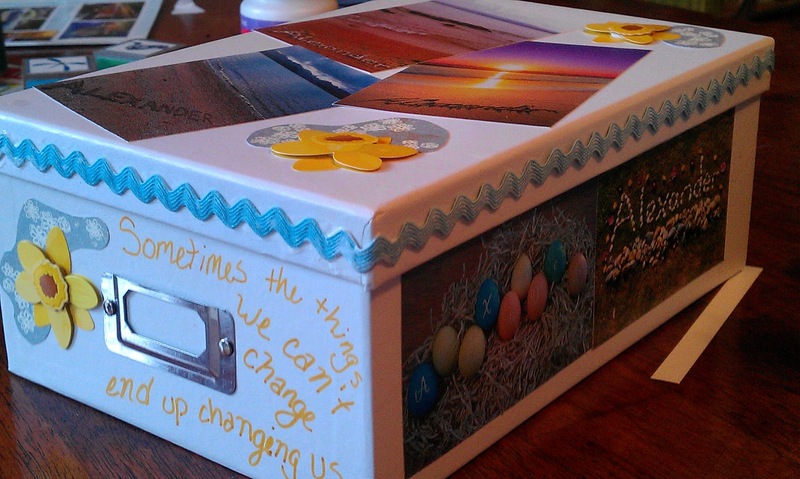 This post is on how to make a memory box and ideas on what to put inside. Before getting into the tutorial let me share Alexander's memory box with you. 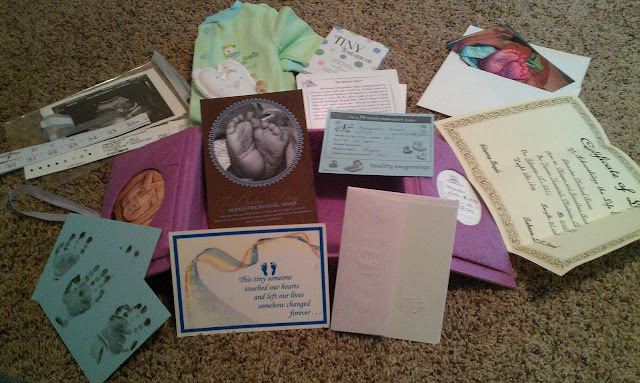 When we were told Alexander would be stillborn, we were numb, but we also didn't know what to expect by way of what to do in the hospital or how we would be handled. Thankfully the labor and delivery staff were wonderful. They cared for Alexander's body by washing it gently and clothing it. They took his measurements.They had a little memory box (pictured above) for us to take home. They prepared everything. One nurse with the help of my mom even took extra time to make sure we had good hand and foot prints. 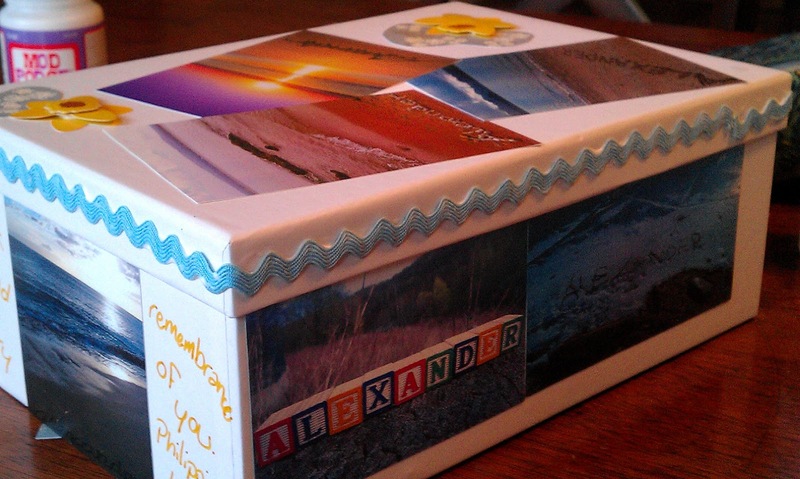 If you were not fortunate enough to be given a memory box by the hospital or Dr's office don't let it stop you from making one for your baby. 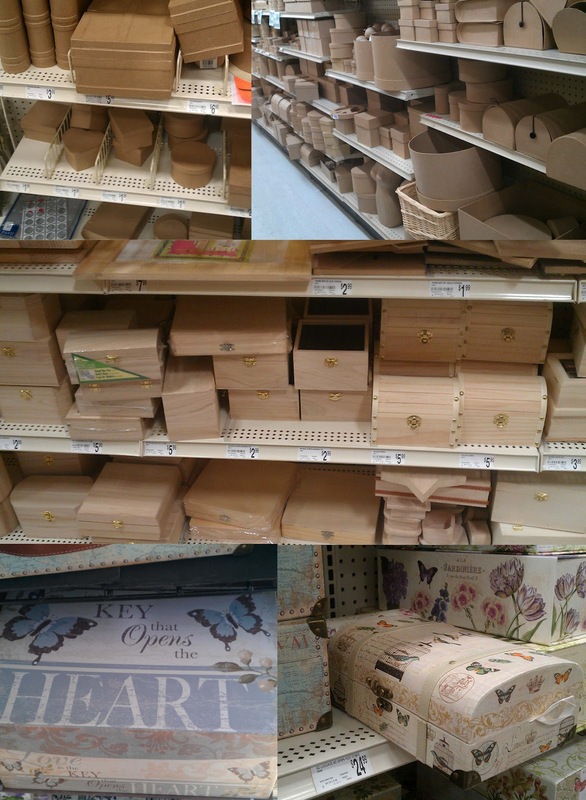 You can find a nice box and put one together yourself or you can follow my tutorial below to make a box where the inside and outside of the box is a tribute to your baby.It doesn't have to be expensive. 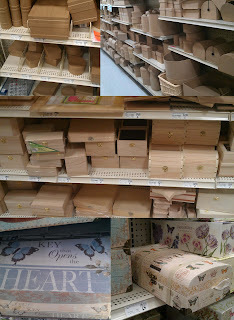 I found boxes from $3 to $25 available at my craft store, you could also use a sturdy shoebox and just paint over the outside. Step 6: fill your box with your baby's memories, I filled this one with all the cards and notes from our first year without him. Along with some pregnancy cards and photos that didn't fit in his baby book. 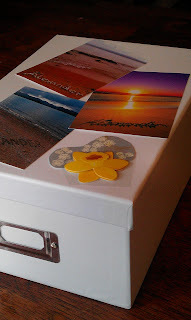 And as a final touch I placed a card with the words "Year 1" in the little label holder that is a part of photo boxes. 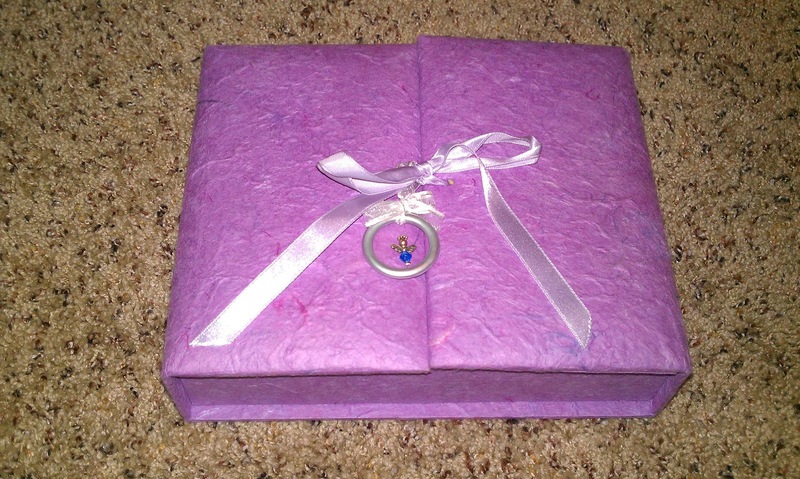 I recently found the idea for a "Day you were born box" on pinterest that uses boxes with-in boxes. 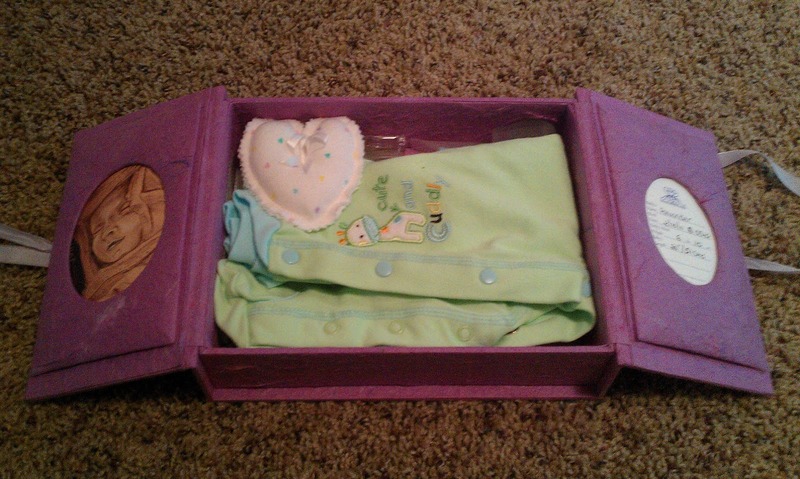 Its a really cool way to get your children and relatives involved in making your baby's box. From Tesha's link up. My daughter was bor early and unexpectedly. I was so lost and shocked about everything that happened. The hospital gave us a small white box with a pretty pink ribbon on it. It was quickly filled with everythin and anything I could think of. When I needed something more permanent I went to a craft store and purchased a dark wood photo box. it has places for several pictures on top and it opens like a secret little chest. I open but not often. To me it is still like the elephant in the room. Thank you so much for sharing your memory box.